I know that your wedding day is one of the most important days of your life and your cake needs to be just as perfect as everything else, if not more. I don’t have any set designs, nor set flavour combinations. My cakes are truly bespoke to your favourite flavours and the design you have your heart set on. 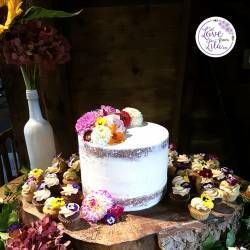 Offering naked, semi-naked and fondant iced cakes which are full of flavour and guaranteed to wow your guests, I can work with you to make the vision in your mind a reality. If you haven’t settled on a design yet, I would love to create something completely unique to you. 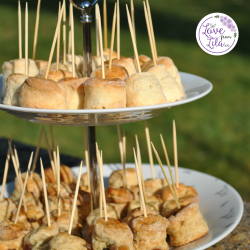 Using your initial enquiry, I’ll reach out to you to say hello, introduce myself and start to find out a bit more about yourselves and your wedding. If you have already started thinking about designs, flavours, and/or budgets, I will ask you to send your ideas over. Typically, we would then find a time that is mutually convenient for a wedding cake tasting and consultation. I can do this evenings, weekends, or some Thursdays and come to you/meet elsewhere. In advance, I’ll ask you to pick out up to 3 flavours to taste. 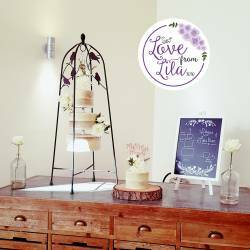 At the wedding cake tasting and consultation, there are two really important topics. The first topic is flavours, and given how many combinations there are, it can be hard to choose! 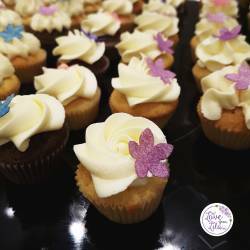 The flavours that you selected in advance will be brought along in cupcake form, and we will taste them, and discuss what would be best for your cake. You don’t have to choose the flavours you have tasted for your wedding cake. 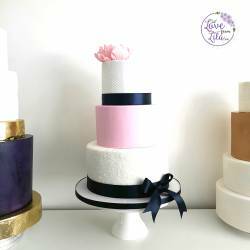 There is also no need to have the same flavour in every tier of your cake! There are lots of factors to consider such as the other desserts served, appearance and design, and cake size, but I will guide you through the process. The second topic is design. Most people will already have an idea of what they’re looking for. If you have an idea of what you’re looking for, key things we will talk about include the number of people you need to serve and colour schemes. If you aren’t as sure about the design you’re looking for, then we can explore what might be possible for you, and decide on something you will love! After the wedding cake tasting and consultation, I will create a cake specification for you. 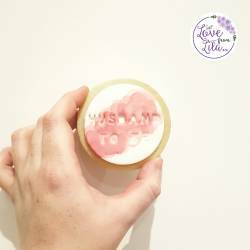 This contains a full quote based on the flavours, sizes and design options you have chosen. If you’re happy with it, you will pay a 50% deposit to confirm your booking. If there are some changes to make, we’ll work through them until your specification is perfect. On the lead up to the big day, we’ll check in to make sure all final details are confirmed, such as delivery time and where the cake will be set up. A few days before the wedding, I’ll cook your cake, ice it and decorate it ready to be set up at the venue. I will ask your wedding planner, coordinator or a trusted family member or friend to sign off on the cake. 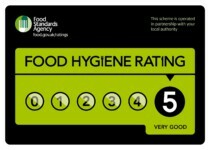 Finally, I will pass cutting guides and allergen information to a coordinator or chef at the venue. 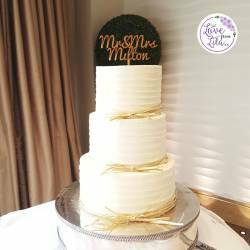 Although I usually provide cakes and cupcakes for wedding parties, there are a number of other possibilities, both for your main cake and as favours. I can also provide mini cupcakes, homemade marshmallows, brownies, macarons and biscuits.